Days after Indonesia arrested four Uighur terrorism suspects in September in the country’s east, China dispatched three intelligence officers to ask authorities to hand them over. 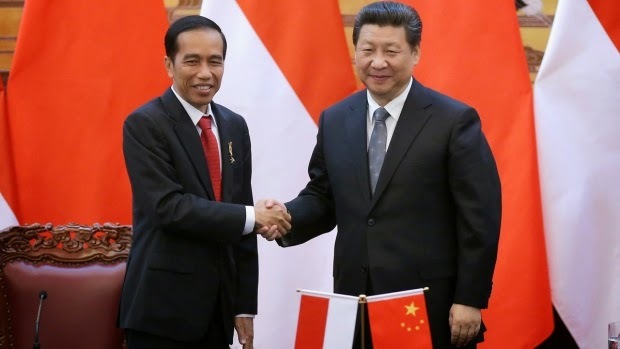 While Indonesia initially demurred, China has now secured a preliminary agreement for the men to be returned after a trial in Jakarta, according to Irfan Idris, a senior official at Indonesia’s anti-terrorism agency. The four, who are yet to be charged, face potential execution if repatriated. China pressed for the deal as part of a global operation begun last year to return terrorism suspects to Chinese soil, according to two people familiar with the matter who asked not to be identified because the initiative is confidential. Many of the suspects are members of the Turkic-speaking Uighur Muslim minority, they said. China's southern seaboard has replaced the mountainous and tightly guarded western frontier as the preferred route for Islamic extremists to slip recruits out of the country, according to a leading expert on terrorism. Rohan Gunaratna, the head of the International Centre for Political Violence and Terrorism Research at Singapore's Nanyang Technological University, claimed that "over 400 Uygurs have left, most through Hong Kong via Indonesia, Malaysia and Thailand to join the IS [Islamic State]". Gunaratna's claim comes as a leaked Guangdong police document revealed that the authorities broke up a Pearl River Delta syndicate that smuggled at least six Uygurs to Macau on February 18 and 24. The document said the syndicate was planning to smuggle more Uygurs hiding in Guangzhou, Foshan and Zhongshan to Macau before police busted the ring on March 2. 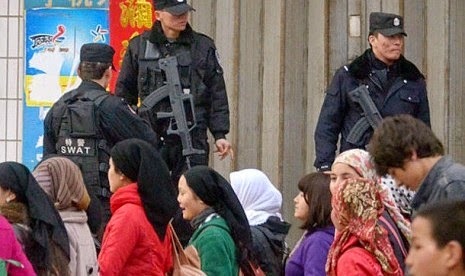 Police shot dead two ethnic Uygur women who resisted arrest and detained more than a dozen Uygur men during a late-night raid in a village outside Guangzhou just hours before the knife attack at the city's main railway station on March 6, which left 13 people injured, witnesses said. Residents of Xiniujiao - or Rhino Horn - village who witnessed the police raid told the Sunday Morning Post that more than 100 officers, some of them armed, had swooped on the suspects during the Lantern Festival on March 5. Three knife-wielding men attacked passers-by and passengers at random in the rail attack earlier this month. Police have been tightlipped about the ethnicity of the assailants, saying only that one had been shot dead and another arrested. Uygur students in Guangzhou have been warned to stay away from "outsiders" after several were recruited by a suspected religious extremist and had been missing since last year, various sources told the South China Morning Post. A man claiming to be a US national conducting social science research visited the campus of the South China Normal University [SCNU] last year. Sources said the man recruited several Uygur students, gave them money and arranged for them to flee to Malaysia. It is not clear if Malaysia was their final destination, or whether they were headed for Turkey or Syria, as some believe. 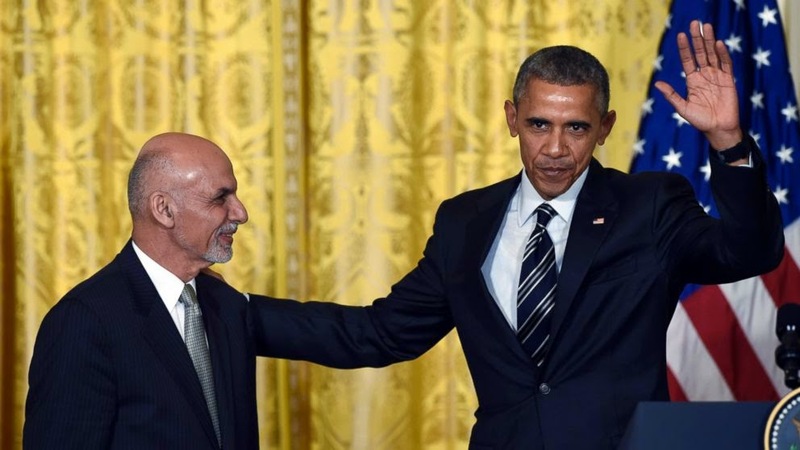 President Barack Obama on Tuesday granted Afghan requests to slow the drawdown of U.S. troops from Afghanistan and said he would maintain a force of 9,800 through the end of 2015 while sticking to a 2017 exit plan. President Barack Obama’s decision to slow the withdrawal of American troops from Afghanistan would hamper peace efforts, the Taliban said on Wednesday, vowing to continue fighting. “Obama’s announcement to continue to keep troops in Afghanistan is a response to the peace efforts,” Taliban spokesman Zabihullah Mujahid said. “This damages all the prospects for peace. This means the war will go on until they are defeated,” he said. Afghan President Ashraf Ghani told U.S. lawmakers on Wednesday that Islamic State and its allies pose a "terrible threat" to the countries of western and central Asia. In a speech to a joint meeting of the U.S. Senate and House of Representatives, Ghani said Islamic State militants are already sending advance guards to southern and western Afghanistan "to test for vulnerabilities." A local leader in an ethnic Turkmen village near Afghanistan's border with Turkmenistan says police killed at least four people and wounded at least seven others while dispersing a protest. The head of Qarqeen village council, Gulam Rasul Qaryadar, told RFE/RL that police fired shots on March 16 after ethnic Turkmens gathered in front of the district administration building, demanding help from the authorities to stop what they say are efforts by Turkmenistan to take land they claim as their own. The villagers have said that Turkmen forces are grabbing their land on an island that was formed several years ago in the Amu River, which serves as part of the border between Afghanistan and Turkmenistan. Troops from Russia and Uzbekistan are helping Turkmenistan guard its border against militant incursions from Afghanistan, an Turkmenistani exile website reports, citing residents of border areas. 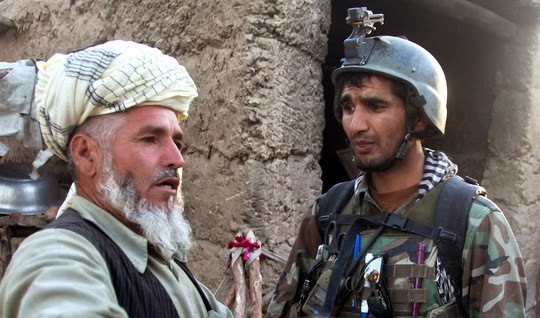 According to the report on Chronicles of Turkmenistan, "residents of Afghan border villages have recently noticed the presence on Turkmen territory border units from Uzbekistan." And it added: "About a month ago military instructors from Russia also appeared on the border. Obviously, the Turkmen authorities appealed to the Russian leadership for help guarding the border with Afghanistan, a situation where, with the arrival of warm weather, has begun to heat up." The European Union is seeking to revive a gas pipeline project from Turkmenistan to Europe and involve European energy companies, an EU diplomat in Turkmenistan said. Denis Daniilidis told Reuters that Maros Sefcovic, the EU's head of energy union, was going to visit Turkmenistan in coming months to restart talks about the TransCaspian pipeline. While he did not provide other details, Turkmen officials said earlier this month that "active" negotiations were under way to supply Europe with between 10 and 30 billion cubic metres of gas per year.